I've been trying to watch a few older movies lately as I work on projects at home. Some of them I've really enjoyed some (Sabrina, Funny Face, Roman Holiday, Arsenic and Old Lace, Angel and the Badman, It Happened One Night), and others have frustrated me. While it is true that in general a few more scruples are observed, there still seems to be a lack of logic! 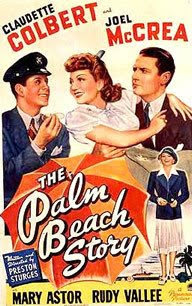 Thursday, while I was finishing up my quilt binding, I decided to watch The Palm Beach Story. 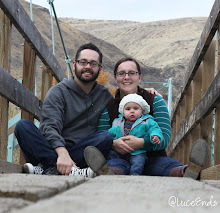 At first I thought it had potential, but as it moved on I realized that it was glorifying several things I find foolish; a husband who is not providing for his family's needs, a wife who does not submit to her husband, and both of them gratifying lying about their married relationship for money. It is so interesting that things like this coincide with what our pastor taught about at church last Sunday. He's currently going through 1 Peter, and preached on women's roles in marriage from chapater 3, verses 1-6. Pastor Mark was reminding us that Sarah is given as an example of of a Godly wife, even though she along with Abraham messed up a lot. We'll mess up too, no one is perfect! Sarah was wrong to submit to Abraham's leadership when he told her to pretend she was his sister on a couple occasions, and Abraham was wrong to sleep with Hagaar when Sarah told him to so they could have a son. This movie echoed, and to an extent glorified, the same sins Sarah and Abraham struggled with. The husband wasn't leading the marriage, and when he took a stab at it, the wife wouldn't submit! I disliked the classic Audrey Hepburn Breakfast at Tiffany's, which surprised me because so many people seem to like it! It bothered me that the main character, Holly Golightly, is portrayed as such a feather brain! She like expensive things, but doesn't appear to have a job, and has such awkward social connections. Arsenic and Old Lace is still one of the funniest movies I've watched to date. (Although Lucille Ball's Yours Mine and Ours and The Long Long Trailer are close!) It is obviously a comedy, with some pretty mixed up characters. It's on the Netflix instant cue right now so I won't spoil the story! I think what sets it apart to me is that it's supposed to be silly and unrealistic. Anyway, those are just some random thought I've had about movies that are thought of as more wholesome than newer ones. The same problem is still there; sin is glorified. Even if it's a different kind of sin, it's still wrong to mimick.